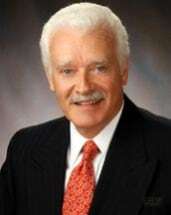 Robert J. Casella is a graduate of the Delaware Law School of Widener College and was admitted to the New Jersey Bar in 1977. He is also admitted to practice before the United States District Court for New Jersey and for the United States Supreme Court. Mr. Casella concentrates his practice in the areas of bankruptcy (debtor's rights), business and corporate (formations, transactions, and contracts), real estate, zoning and planning, and wills and estates (probate, administration, and litigation). He has represented and counseled clients in Municipal Court, Superior Court, U.S. Bankruptcy Court and the Federal District Court in these areas. Mr. Casella's professional associations include the New Jersey State Bar Association and the Cumberland County Bar Association. Additionally, he has served on the District 1 Fee Arbitration Committee and on boards of local and non-profit organizations.